Launching a new business is not an easy task – especially in today’s highly competitive market. As an entrepreneur, you need to have a thought-out plan to take you from your initial idea to a successful start-up. Many businesses fail within their first year. The biggest problem that entrepreneurs face when it comes to surviving that first year is overestimating the need for what they’re trying to sell. More than 40% of all start-ups fail because not enough people are interested in what the company is offering. Assuming that you have a fantastic business idea that you’ve been nurturing for quite a while, it’s time to touch on a very important topic: finances. Almost 30% of all new companies fail due to insufficient capital. You could have the best idea in the world. If your finances can’t keep you afloat, you’re going to have a hard time turning an idea into a profitable business. 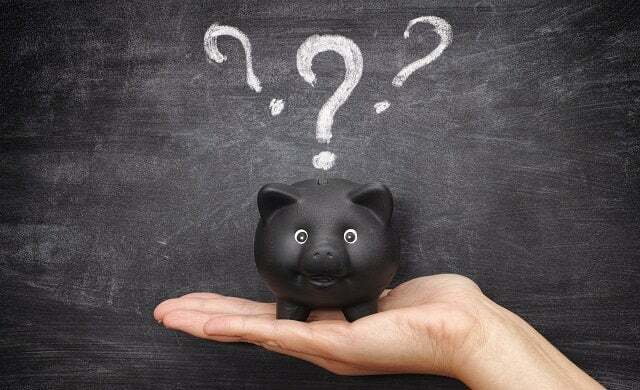 There are several ways to obtain financing for your start-up: personal savings, angel investors, short-term and long-term loans, business lines of credit, and so on. Depending on your needs, one or more of these methods will be a good solution for your problem. But what happens if you want to expand your business? That’s where your start-up’s working capital comes into play. In a few words, working capital is the difference between your current assets and your current liabilities. Your inventory, liquid assets, cash, and cash equivalents are all considered to be current assets. Basically, the value of everything that a company can turn into cash within one year. On the other hand, your current liabilities are the debts and obligations that the company has within the same one year. These can be short term debts, supplier bills, accrued liabilities, and so on. It’s important not to confuse working capital with long-term capital. Also known as equity, long-term capital is the money that you will use to pay for business operations, such as advertising, staff salaries, and so on. When do you need working capital? As a start-up, you will need working capital right from the start. The main use of your working capital will be to cover the inventory value and the balance of your accounts receivable. This needs to be done until you actually collect on those receivables. Moreover, another instance where you might find yourself needing more working capital is when you’re trying to further expand your business. A bigger business means a bigger need for suppliers and a larger customer base. During the transition, you will have to cover your expenses until you get paid by your clients. Your company’s working capital needs will also be driven by seasonal changes. During winter holidays, when your clients are more likely to be out shopping for gifts, you might find yourself unable to cover your debts and obligations to your vendors, unless you have sufficient working capital. Similarly, during slower seasons, your inventory and accounts receivable will be turned into cash more slowly than usual, leaving you responsible to cover the expenses by increasing your working capital through loans. The easiest answer to this question is you have to assess your operating cycle. In order to do so, you analyse the number of days that it takes for your current assets to be transformed into cash and the number of days it takes for that cash to be used to pay your liabilities. You should know that the majority of small businesses can’t afford to cover their operating cycle from the start. Most company owners can’t predict the revenue that their company will bring in over the year. For example: retail companies have their biggest sales during the final quarter of the year, which is the holiday season. In contrast, manufacturing companies see their most profitable months during the summer. These are the months when manufacturing companies usually push their production in order for their products to be ready for the upcoming holidays. Based on the type of business that you’re running, you can predict when your most profitable months will be and when business will be slow. When the time comes, you will be prepared with enough working capital to overcome these financial obstacles.